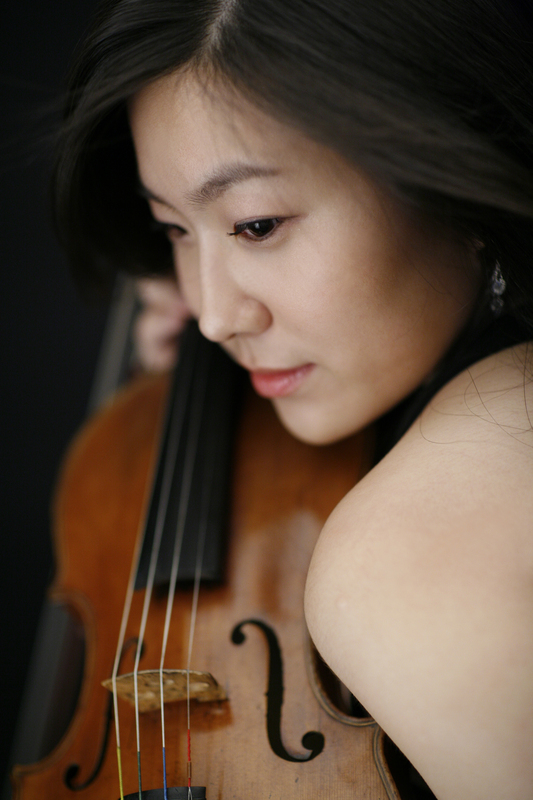 Highly sought after as both a soloist and chamber musician, violinist Dawn Dongeun Wohn has performed throughout North and South America, Asia and Europe. She has appeared as a soloist for live-broadcast performances with orchestras such as the Korean Broadcasting Symphony and the Aspen Conducting Orchestra, Daejon Philharmonic, The New York Sinfonietta, Japan’s Telemann Ensemble and the Festival de Febrero in Mexico. In addition, she has performed recitals across the world including Carnegie Weill Hall, Alice Tully Hall in Lincoln Center, Merkin Hall, and Jordan Hall. As an active chamber musician, Dawn has performed at International Musician’s Seminar Prussia Cove in England, Great Mountains Music Festival in South Korea, The Banff Centre, and has held fellowships at Music@Menlo, Aspen Music Festival and School, Norfolk Music Festival, Sarasota Music Festival, as well as the Juilliard School’s Chamberfest and the New York String Seminar. Notable collaborations include members of the Emerson Quartet, Miami String Quartet, Colin Carr, Roberto Plano, Susan Hoeppner and Christina Dahl. As a musician with a wide range of styles and interests Dawn has performed with early and new music ensembles, as guest concertmaster for orchestras, as well as jazz and pop groups in venues as diverse as Carnegie Hall to Radio City Hall. New Music in particular has allowed her to work with composers such as Mark Phillips, Gunther Schuller, Christos Hatzis and Samuel Adams. Recent New Music activities include premiers of Brooke Joyce’s Lament for Orlando and Stefano Sacher’s Le Memoria di Medea, as well as a performance of Mark Phillips’ Violin Power for violin and interactive electronics at Electronic Music Midwest Festival. Dawn began her violin studies at age four. She trained at The Juilliard School’s Pre-College Division as a full scholarship student of the renowned pedagogue Dorothy DeLay and continued her undergraduate studies at Juilliard with Hyo Kang. She pursued a Master of Music and an Artist Diploma at Yale University and completed her Doctor of Musical Arts degree at Stony Brook University under the direction of Philip Setzer of the Emerson Quartet and Soovin Kim, as well as mentor Gilbert Kalish. Committed to teaching as well as performing, she has held the position of String Division Chair, Assistant Professor of Violin at Ohio University’s School of Music since 2014. As a guest clinician and recitalist she has presented and performed as schools such as Ithaca College, CUNY, Bowling Green State University, Kansas University, East Tennessee State University, and has been on faculty of festivals such as the Académie Anglicorde in France, International Music Festival of the Adriatic in Italy, and Festival de Febrero in Mexico. Dawn performs on a 1732 Nicolo Gagliano violin, and in her free time enjoys cooking and traveling with her husband Jay and their dog Wolfie, who is named after one of their favorite composers, Mozart. Her debut album featuring works diverse works by female composers will be released in early 2019 by Delos Records.